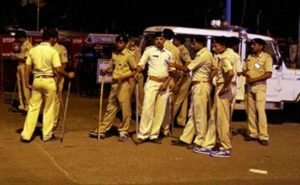 The Police in Gujarat have arrested 2 partners in crime that killed Jayanti Bhanushali in a moving Train, the said suspects are said to be accomplices of Chhabil Patel the Former BJP Legislator. Just one week before the gruesome crime, Chhabil fled away to Muscat. The officials have said that Rahul Patel and Nitin have played a big role in taking care of the two killers, they were brought by Chhabil Patel from Maharashtra, also it is suspected that there is a woman involved in this crime. On January 8, the news broke out that Jayanti Bhanushali was killed in a train. After the investigation was done, it revealed that Manisha Goswami and Chhabil Patel planned the crime, it is said that both of Goswami and Patel held a grudge against Jayanti which led them to a decision to kill him. Manisha and Chhabil hired sharp-shooters Ashraf Shaikh and Shahshikant Kamble from Pune, they are both known as dreaded criminals in their respective areas.